Cold winters, hot summers, and dry weather are all challenges that North County residents face. There is no doubt that landscaping in Paso Robles can be demanding. Having been formerly based out of Templeton, we learned first hand what it takes to design and build thriving landscapes around Paso Robles. 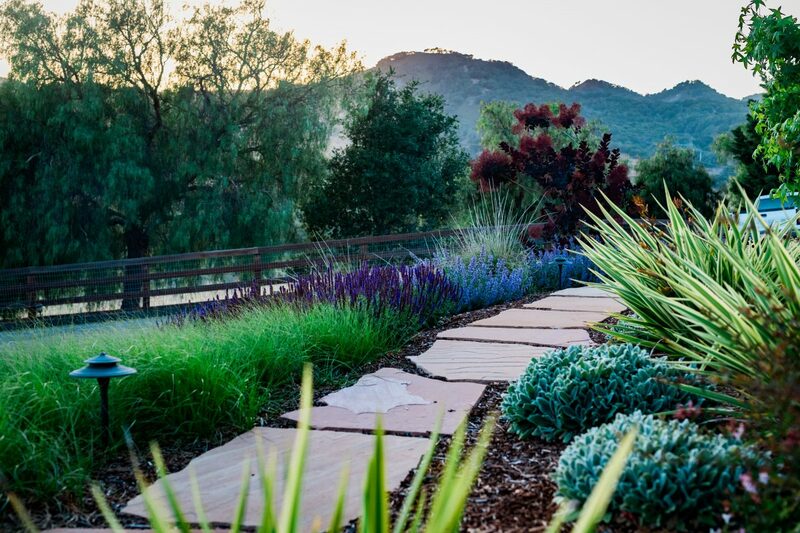 If you live in Paso Robles, it is especially critical to understand the need for drought-tolerant landscaping. Not only is it better for the environment, but it can save you a lot of money on your water bill. At Wild Bloom, we use our knowledge of native and well adapted plants to create landscapes that are healthier, use less water, and are easier to maintain. If you are interested in using less water and would like quality workmanship and excellent customer service, give us a call today. Want to Learn More about Drought Resistant Landscaping? Click here and here read our articles in the Paso Robles Daily News. Click here for some tips on irrigation maintenance. I hired Wild Bloom to remove my lawn and replace it with plants that won’t use so much water. The whole process was seamless and I am very pleased with the outcome. They even calculated exactly how much water my landscape will now use each month. I haven’t received my water bill yet, but I’m actually not dreading getting it for once.